Inarguably one of the greatest filmmakers of all time, Akira Kurosawa created and defined the common cinematic language as we understand it today. Regardless of what films exist in your top 10 of all time, Kurosawa’s fingerprints are most likely all over them. Seven Samurai is widely considered the pinnacle of his many masterpieces. The desperate inhabitants of a sixteenth-century Japanese village hire eponymous warriors to protect them from invading bandits. I have never really understood why people avoid foreign films so often. I suppose and have heard people who said that they do not want to read when watching a film. I personally believe to ignore foreign films would be to ignore most of all of the great films being made around the world. This confusion with the anti-readers goes even further in the case of the films of Akira Kurosawa. His is a name thrown around often but not many people are aware of the sheer impact of this incredible storyteller. Almost every one of his films have been remade into American films and received accolade here in the states, especially in the western genre. To name a few of these films, Star Wars, A Fistful of Dollars, Last Man Standing, and The Magnificent Seven were all either spot on remakes of Kurosawa films or at least heavily influenced by him. That being said, Seven Samurai, the film The Magnificent Seven is based off of, is perhaps one of Kurosawa’s best known films. It is the story of a small village that has come to the knowledge that bandits will be attacking them after their harvest to steal their food as they have done several times before. In trying to prevent this, they decide to hire Samurai to help them fight back when the time comes. A group of farmers head to the city and embark on finding a group of samurai willing to be paid in three square meals a day, since the villagers have no money to offer. The result is an eclectic group of seven samurai (Bet you didn’t see that coming). This group heads to the village to help them prepare to fight the bandits. Kurosawa was known as a master of cinematic realism. Just as those directors who followed in his footsteps, such as George Lucas, Steven Spielberg, Francis Ford Coppola, and Martin Scorsese, Kurosawa used realism to draw his viewer in and truly experience what his characters were experiencing. In watching Seven Samurai, you are not just rooting for the villagers and the samurai to triumph, you feel as if you have been through this entire experience with them. The villagers are just blank characters, they are people you know and understand and like. This style of filmmaking makes it relatively easy to connect to a film set in medieval Japan, a setting that I personally know nothing about. The fact that that Kurosawa has the ability to make one relate to characters that on the surface one has no familiarity or grounds on which to relate to, is impressive. He does this by pulling out basic human attributes of every one of his characters. Things like pride, honor, justice, love, vulnerability, and fear are aspects of the human condition that no one is exempt from. This makes watching Seven Samurai a blast while maintaining aspects of film that would make the most astute film student feel giddy as a schoolboy. The cinematography is ridiculously awesome, the story is perfectly told, and the dialogue, even being translated from Japanese to English, is engaging and spot on. It is well worth watching every second of this 3hr. 26 min. epic masterpiece. While it was exciting to finally get a venue to play music, it was weird to us that John would agree to it. John was an accomplished musician who played and represented the type of music that we hated like Dennis Jernigan and Hillsong. He knew we were pretty awful, pretty loud, and mostly selfish when it came to our motives; and he still said, “Yes.” We were ready to fight the power and the power turned around and gave us keys to the building to rehearse, total freedom in song and arrangement choices and encouragement to keep playing every time we saw him or talked to him, even long after he had moved away from Andrews. We were shown a level of respect and understanding that was new for most of us. I personally experienced someone taking me seriously as an individual and choosing not to simply write me off as a silly kid. Now almost two decades later, I still love punk music, more than ever. But it represents something else to me now than it did when I was a teenager. I think if Jesus had been in a garage band, it would’ve played punk music. Doing things according to something other than man’s flimsy institutions and choosing to focus on the things culture devalues and devaluing that which culture holds so dear is all part of the punk ethos. To love one’s enemy, to give respect to the lowly, to notice the people on the fringes of society, are about as punk rock as it gets. What could be more countercultural? Music and my spiritual life continue to be great loves in my life and I have learned more from things like music than I ever learned from any book. I wonder how much of that is owed to John Sayger saying, “Yes.” Would my life be as full and rich had John’s answer been different? Would I treat music with the respect it deserves had it not been encouraged by a man who represented the institution? Would I have the same relationship with God that I currently have? To be honest, I don’t know, and I don’t have to know. What I do know is that if a single answer and encouragement can mean so much to me as a student, I want to do everything I can to carry on that legacy for as many people as I possibly can. We all need support, respect, and dignity and I believe that there are many groups in culture that need it more than anyone. It seems a bit odd and contradictory to learn so much about respect through a punk rock lens but I believe that it is precisely these type of countercultural ideas that have the ability to shift culture toward love, respect and, ultimately, peace. How do you view those who choose to step down the social structure in order to align with people of the low status? What is at risk in choosing to move down the social hierarchy? 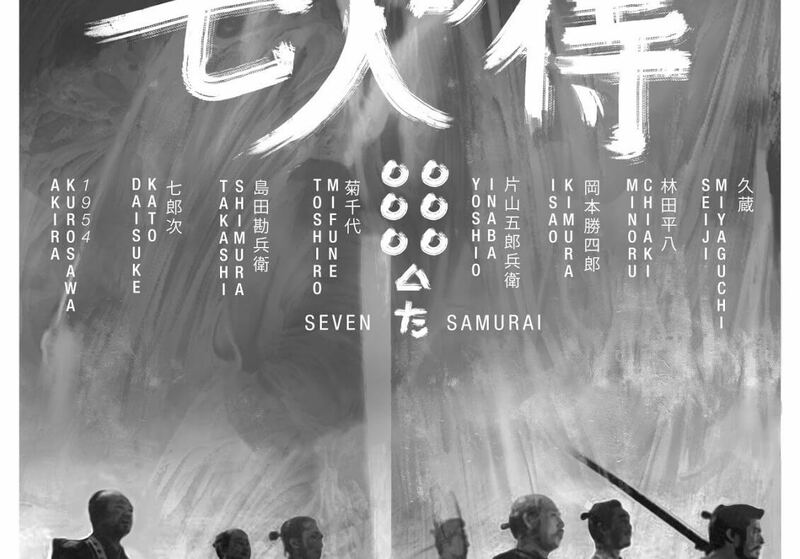 Who is the virtuous in Seven Samurai? Why? Who is the lowly in Seven Samurai? Why?